U2 and Elton John are headed to the Grammys to help the organization celebrate its 60th awards show. 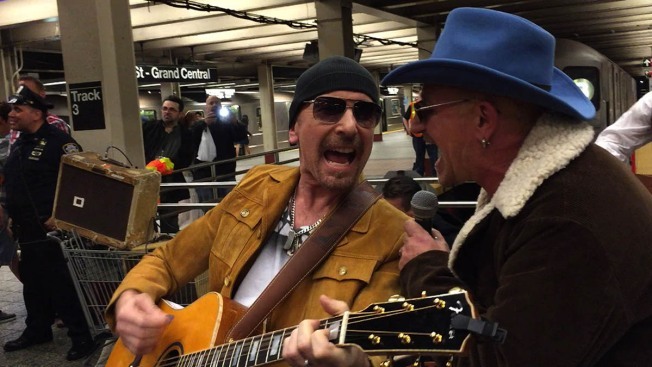 The Recording Academy announced Wednesday that U2 and John, who will sing one of his classics with Miley Cyrus, will perform at the Jan. 28 show at Madison Square Garden in New York City. Sam Smith and Kendrick Lamar, who is up for seven Grammys, were also added to the lineup. Previously announced performers include Bruno Mars, Cardi B, Pink, SZA, Lady Gaga, Little Big Town, Childish Gambino, Daddy Yankee, Luis Fonsi, Kesha, Alessia Cara, Khalid, Logic, Patti LuPone and Ben Platt. Two days after the Grammys, the academy will hold "Elton John: I'm Still Standing — A GRAMMY Salute," where Smith, Cyrus and others will pay tribute to the Rocket Man.